„Auf Kosten der Ärmsten: Die Panama Papers zeigen, wie die internationale Geldelite ihr Vermögen vor den Staaten versteckt. Gerade Entwicklungsländer verlieren dadurch Jahr für Jahr Milliarden.“ Gastbeitrag, Die Zeit, 7. April 2016. Oslo Principles On Global Climate Obligations. Was a member of the Expert Group on Global Climate Obligations, which drafted these principles and an extensive legal commentary on them. 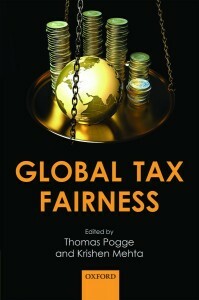 The Expert Group included Antonio Benjamin, Michael Gerrard, Toon Huydecoper, Michael Kirby, M.C. Mehta, Qin Tianbao, Dinah Shelton, James Silk, Jessica Simor, Jaap Spier, Elisabeth Steiner, and Philip Sutherland, (The Hague: Eleven International Publishing 2015). The Oslo Principles without the legal Commentary are published as a Social Europe Occasional Paper, October 2015. The Oslo Principles and the legal Commentary are also available at https://climateprinciplesforenterprises.files.wordpress.com/2017/12/osloprincipleswebpdf.pdf. 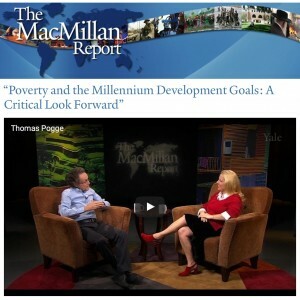 Poverty and the Millennium Development Goals: A Critical Look Forward, edited with Alberto D. Cimadamore and Gabriele Koehler (London: ZED Books 2016) — therein editors’ “Introduction: The MDGs: A Critical Assessment and Sketching Alternatives,” 3–25. “Improving the Incentives of the FDA Voucher Program for Neglected Tropical Diseases,” authored with Cameron Graham Arnold, The Brown Journal of World Affairs, XXI/II (Spring/Summer 2015), 223–234. “Transcendental Idealism” in Pablo Muchnik and Oliver Thorndike, eds. : Rethinking Kant: Volume 4 (Newcastle upon Tyne: Cambridge Scholars Publishing 2015), 13–33.